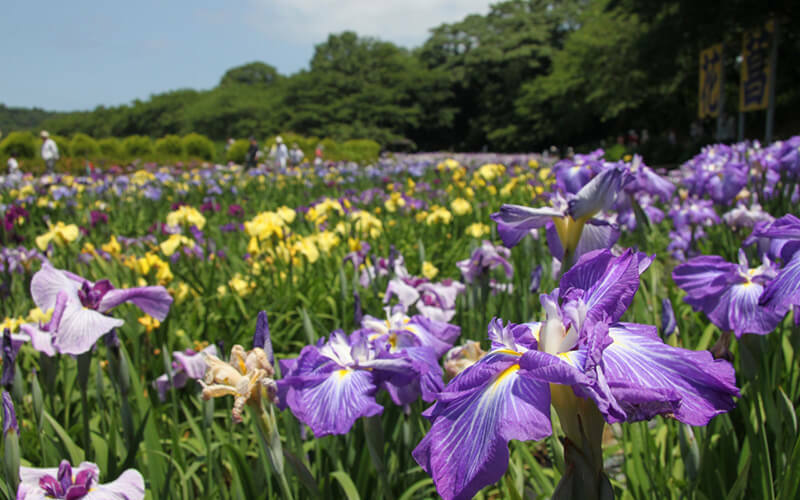 The magnificent Lake Kitagata stretches from Awara City, Fukui Prefecture to Kaga City, Ishikawa Prefecture. 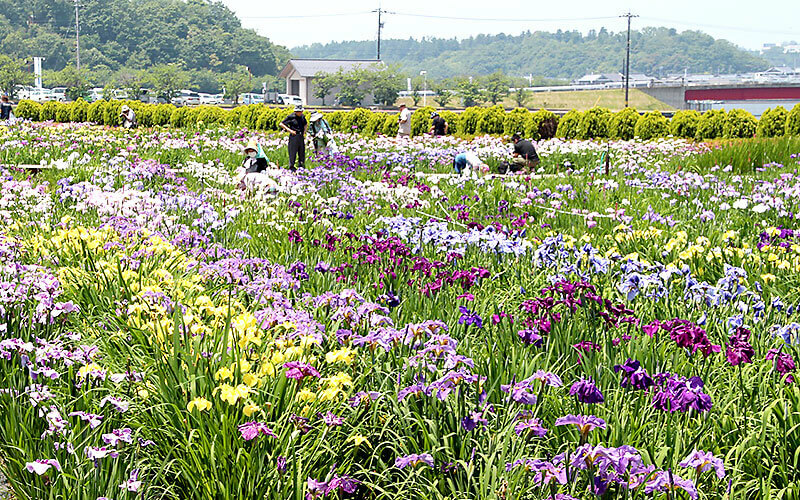 At the nearby Awara Iris Garden by the Lake Kitagata, visitors can enjoy seeing some 200,000 irises across 300 different variety come into bloom from early to mid June. 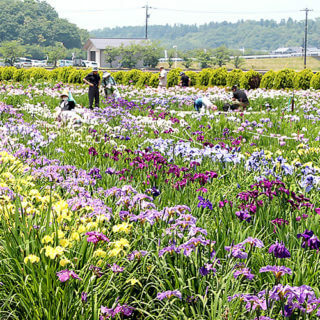 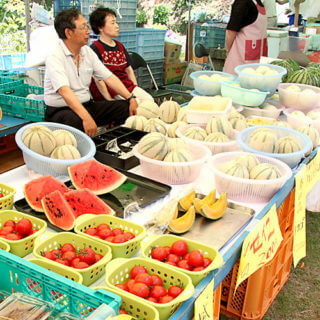 To coincide with this, the Awara Kitagata Lakeside Iris Festival is held in mid June, and visitors can purchase local produce, iris rhizomes, and more. 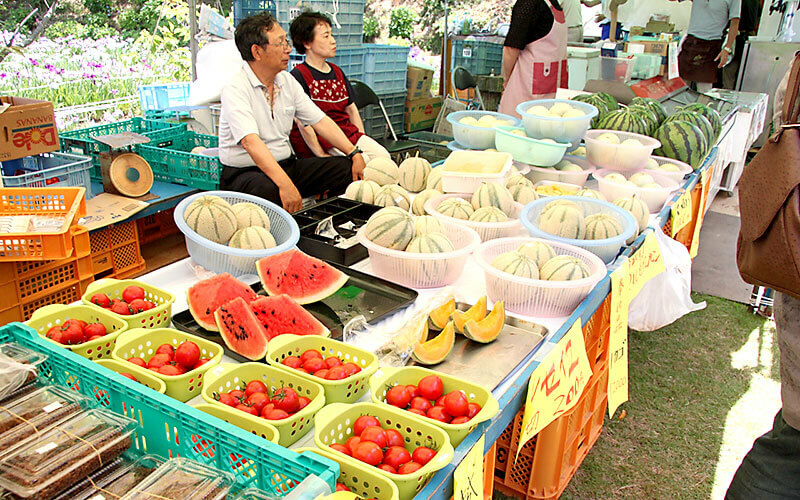 Hand- and foot-paddled leisure boats are also available for use on the lake, making it a popular destination for families.